Gracias por hacer mi primera escalada de montañismo posible BMG! 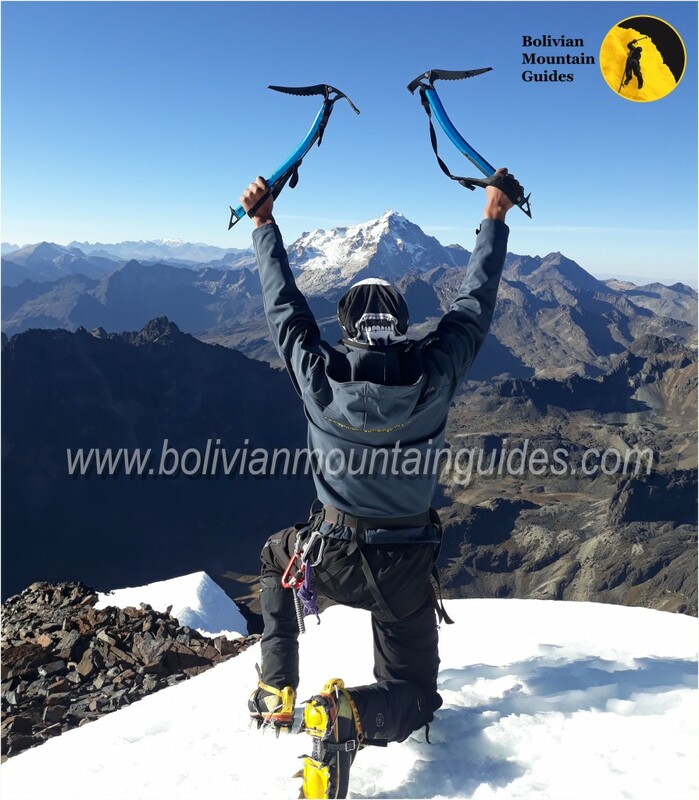 Bolivian Mountain Guides are an AMAZING team of expert mountain climbers. They made my first mountain summits possible. The itineraries are very flexible and customizable so you can plan your treks and climbs to fit your schedule, which is great when you’re in a tight schedule. They are a family run business and most of them have been climbing since kids. Eduardo Mamani is a very nice and humble guy that will help you any way you need in order to make your trip with them as best as possible. He took me to the airport at 4am and let me stay in his house the night before my flight. Gracias Eduardo! You can’t go wrong with BMG. They will take care of you. 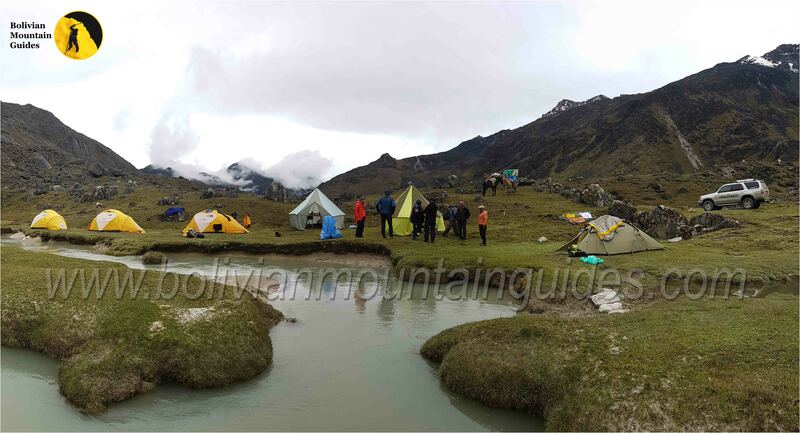 I did a 6 day trek from Ajuani to Huayna Potosi and my guides were always attentive to my needs and my pace. They wanted me to succeed in my climbs which is very supportive when you struggle as much as I did. 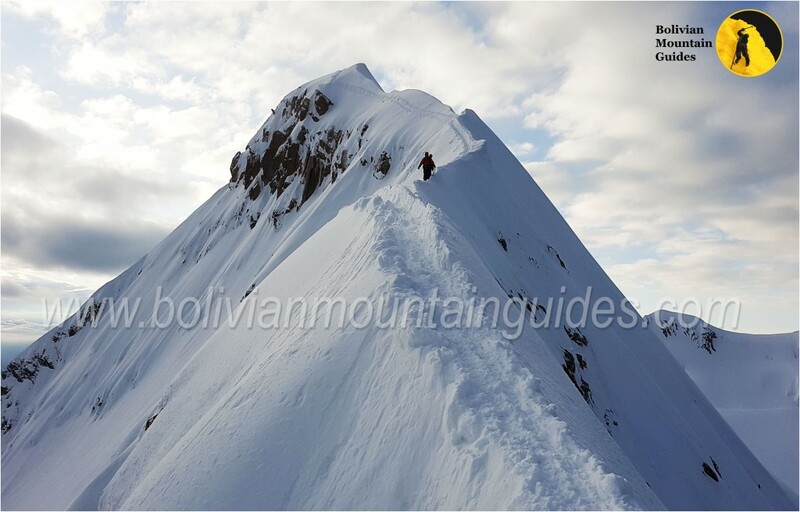 I was able to summit Pico Austria, Pico Tarija and Pequeño Alpamayo! The food and sleeping accommodations were excellent. I couldn’t have asked for a better trip to Bolivia. 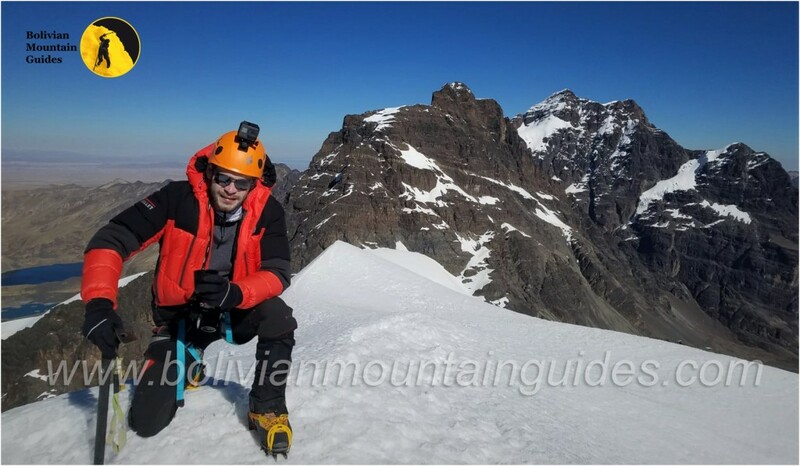 Mejor compañia de montañismo y trekking en La Paz! A beautiful journey of 13 days through the Cordillera Real and ending with the ascent to the mountain of Huayna Potosi, crowning it with success.